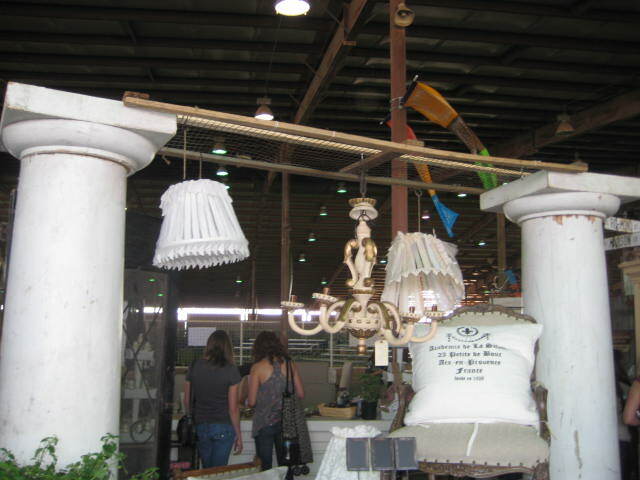 one quick stop at a fantastic furniture warehouse sale (think Restoration Hardware). a feast of a lunch at a funky hip cafe in Austin. someone reading a GPS navigation AWAY from our destination. 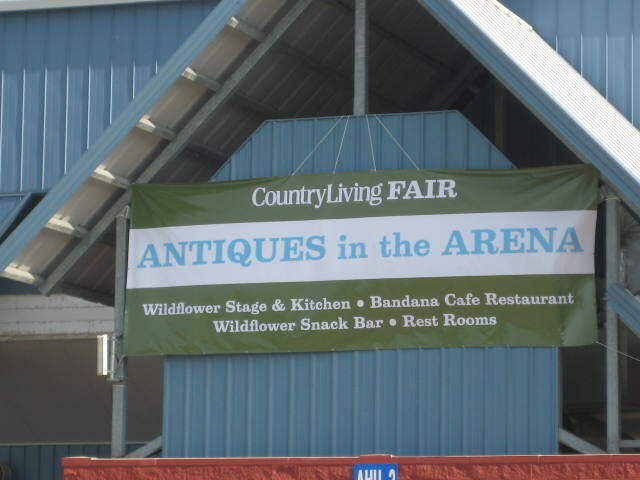 and we finally made it to the Country Living Fair!! Yes, we finally arrived at our destination at, dare I say 4:00 in the afternoon! And guess what time it closed at?? 5:00!! We had one hour….. ONE hour to run through! How could I possibly see everything much less purchase anything in such a short time frame? I could spend an hour in one booth, but the whole fair? Say it isn’t true! 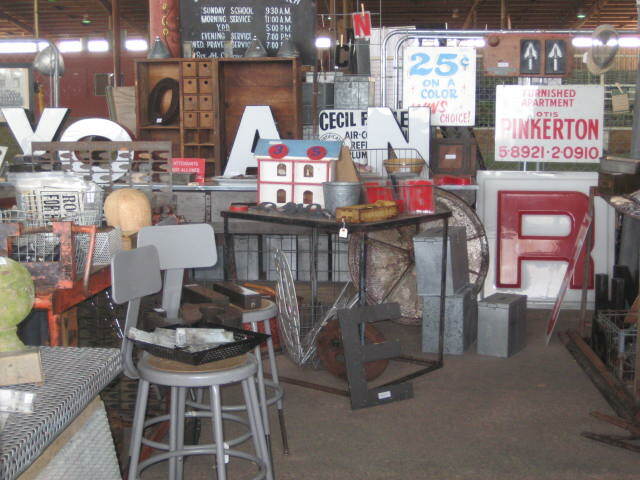 I managed to speed shop, snap a few pictures and lets just say….. linger a little past closing time. Good thing they don’t slam the doors shut exactly on time! I had visions of “lock down” but thankfully people are willing to hang around and take your money! 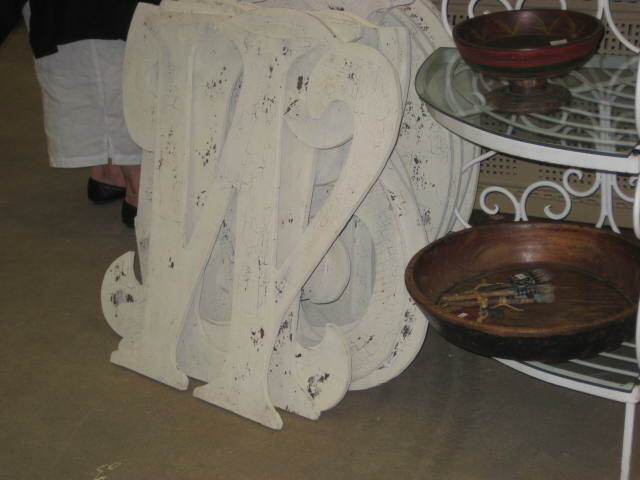 These vintage style wooden letters were great and very popular. 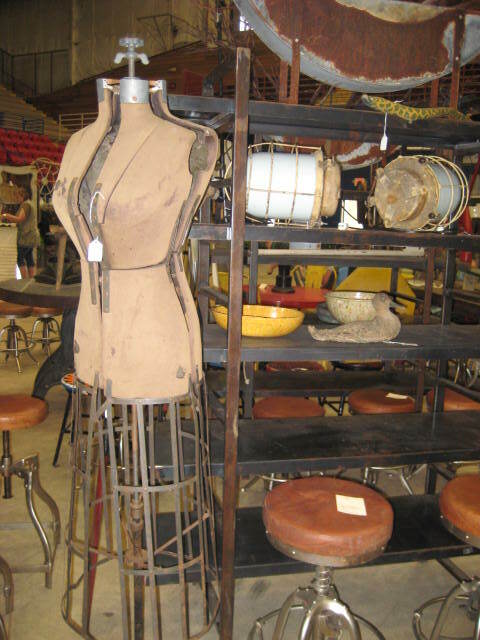 There was also an abundance of vintage industrial. 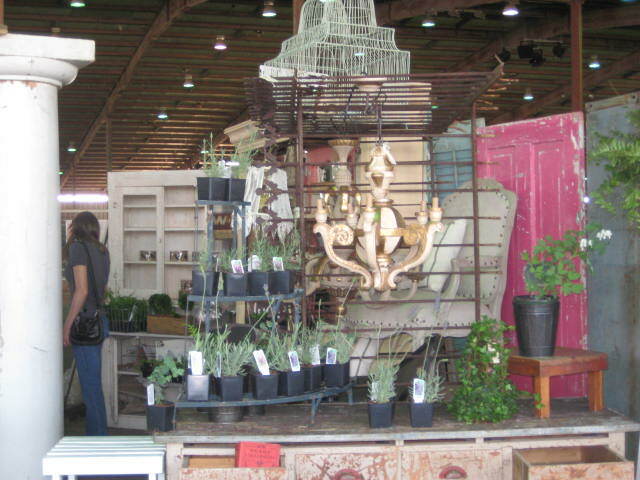 I loved the galvanized metal chimney cap I saw at this booth! 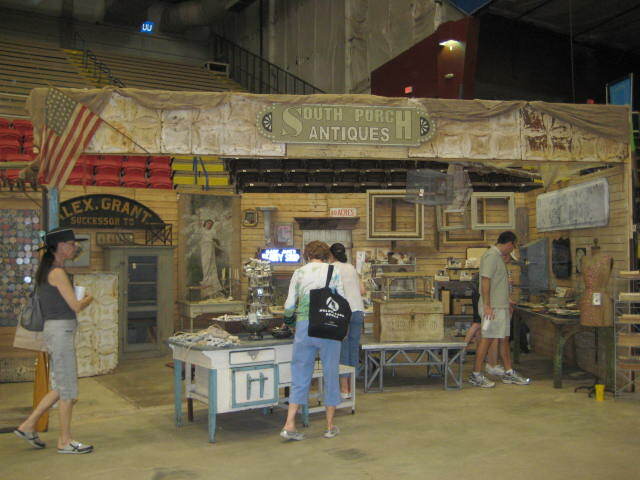 This booth was one of my favorites. 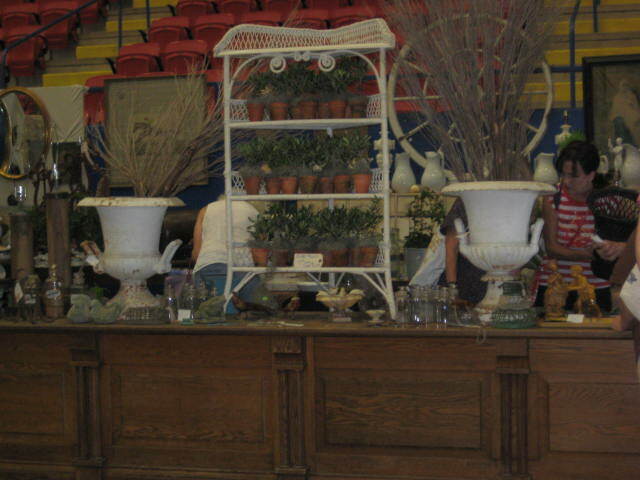 She had some wonderful French garden urns and jardiniere’s, a collection of ironstone pitchers and French preserve jars. 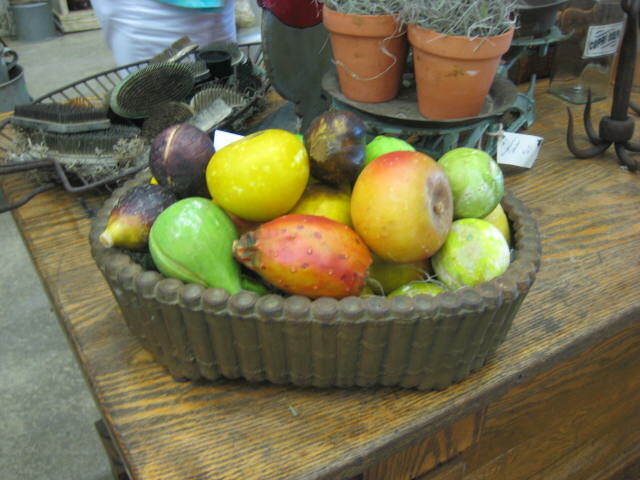 I have read about stone fruit, but this was the first time I had actually seen and touched any! I am in love! 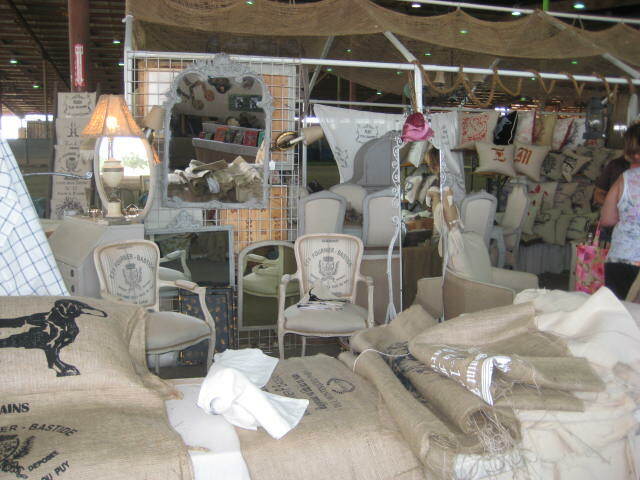 French style textiles are still very popular. Fortunately, I had the good notion to buy a weekend pass just in case we could make it back!! And we did! Four women shopping together can add to the logistics confusion, but they certainly amp up the fun factor! We laughed hard, shopped furiously and let’s just say “A good time was had by all”!! When can I go back? I’ll behave. I promise. Thanks for the tour! 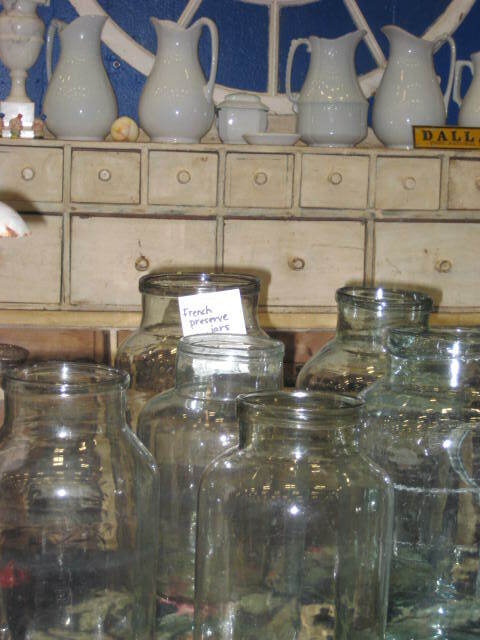 Lots of French inspired treasured and sounds like a fun couple of days. How fun! 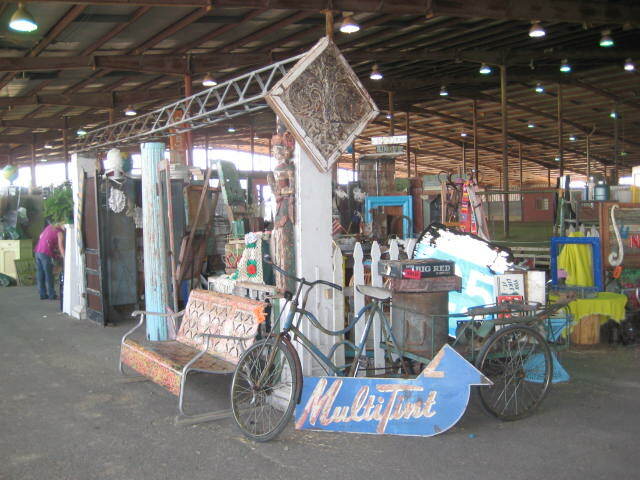 Looks like an amazing space filled with wonderful things! 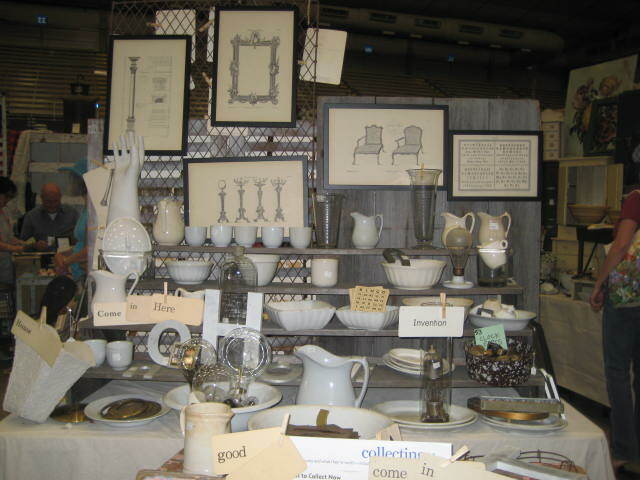 AWESOME POST:) I now follow you on FB..and I hope you will follow me also:) I have swedish decor inspiration for you. hey Cindy, WOW!!! I would have LOVED to go with you to this market. It looks fabulous!!! You must have had a great time. 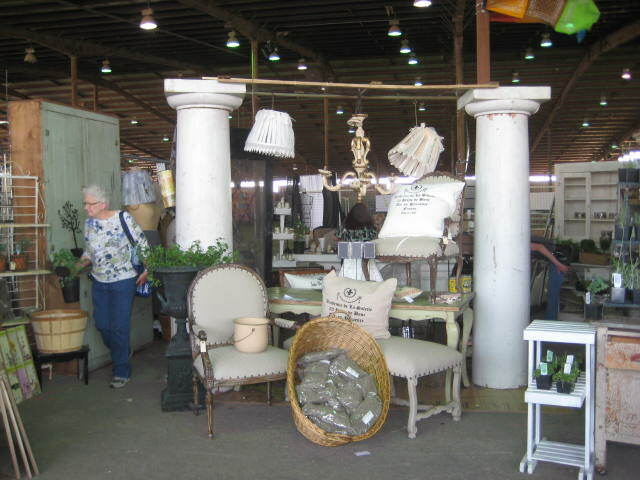 It all looks so good, the ironstone, the fabrics and urns etc, etc. I’d want to buy the lot!! 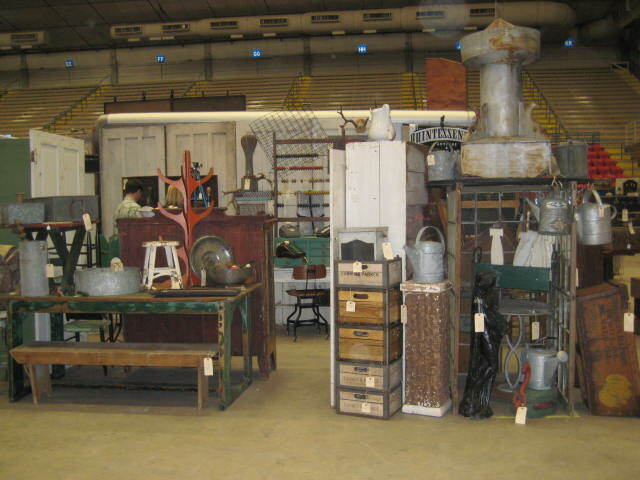 I wanted to buy a lot too, however prices were kinda high, nothing like the bargains you seem to find!! I did manage to bring home a few things though! !